Sneak, tap and order — a lengthy process for Online Shopping? Now, say Alexa buy me this product, and Alexa will shop it for you? This Alexa process is not a fantasy — now you can shop your products with your simple voice command. If this selection is not from a past order, Alexa will even help you decide on new products to buy, if you choose to shop the new stuff. Amazon and Google sold 27 million voice devices in the U.S. as researched by Consumer Intelligence Research Partners. Overview found that 29 percent of Echo and Google Home owners tended to shop through voice. Forty-one percent more shoppers are planning to do the same in the future. Walmart and Google also collaborated with this. Google Assistant can also examine your buy history and ask, “Would you like to reorder a pen set for $2.99?” It can likewise propose you buy floss at a rebate. Hey, use your a single word reaction, “yup,” and you’re finished. Research demonstrates that four out of five purchasing clients depend on their mobile phones instead of a webapp. A more significant amount of retail and ecommerce dealers receives voice inquiry to finish online undertakings. People are begging for voice command ecommerce services. Echo is changing to a better voice command shopping experience all around. With voice-actuated shopping, brands can fabricate devotion while offering more. Amazon Prime Day is the perfect illustration for it. Let’s assume you’re a brand that offers natural face pack at a premium. By what means will anybody discover your item through voice to get some information about it? Yes, this is possible, Alexa responds to “What’s my Deals.” Isn’t that WOW! Alexa lets you DO all with SHOPPING. Voice AI stills feels like a novelty when Amazon added shopping functionality to it. 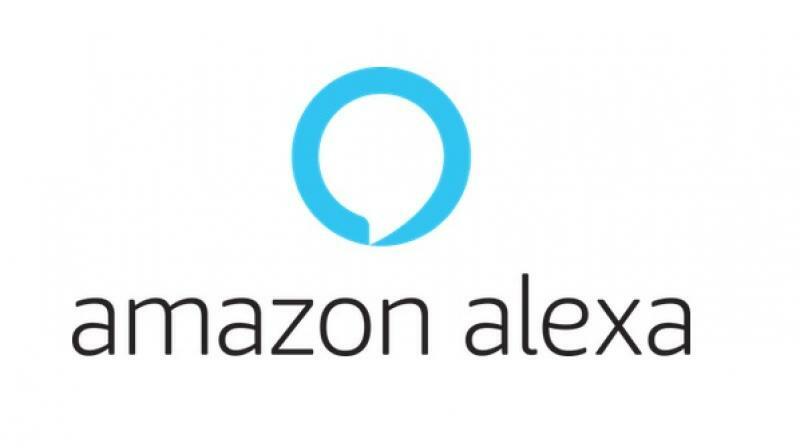 Originally it was the Amazon Prime clients that requested they add the Alexa capabilities. Alexa looks through the client request history and puts. Siri and Google Assistant are catching up to offer their own particular capacities. Our mobile phones and virtual assistants can help us get our work done quicker. And all we want is the items that our voice assistant can get for us. Amazon comprehends something central about every one of us: We are sluggish. The less demanding it is to tap the “BUY” catch, the more Amazon will offer. To this end, Amazon has given us Amazon Prime, a single tick shopping and the Dash button to enable us to buy. Alexa makes it Much Simpler. Alexa can draw on your current request history on Amazon. Suppose you’ve purchased a particular kind of AA battery from Amazon before. Alexa will enable you to reorder that item through “Alexa, reorder the product” voice command. Alexa will request that you affirm the request. If it’s something new, Alexa will recommend an “Amazon Choice” item that meets the depiction. If you like the recommendation, you can affirm the decision and your request will be set. If you’re a little uncertain about the arrangement, you can request Alexa to add an item to shopping cart. What if the thing you include is non-exclusive like “A set of batteries”? Then Amazon will offer extra decisions in the classification. Ask Alexa about your daily deals, and she was pop-up with your special deals details for the day. Want to order with Alexa but unaware of how to configure with your mobile? Look here. Technology news updates are telling us that Alexa isn’t being used as much for shopping yet. Per the information — out of about 50 million Alexa users — only about 100,000 shop something from voice interface more than once. Only two percent tried to shop through Alexa. Most don’t even know that this is possible. But, now you do know that you can do ecommerce based ordering — saving many hours. Most of the initial fixes are now in place making a better experience. 1. Accidental or unauthorized purchases. Alexa is not always perfect. Yes, I’ve been frustrated too — when she may mishear the command. There are possibilities that she may pick up some other items — but this is rare. To avoid an error: Click ordering is especially the functionality implemented by Amazon for Alexa based shopping. Set a 4-digit number passcode to your Echo to avoid the unwanted orders. While placing the order, Alexa will ask for the passcode to confirm before placing the order. The good news is random orders can be returned — but the passcode will circumvent this error. Amazon users share their personal information on their accounts. But Alexa is quick to analyze your order history, wishlist and so on. Even the payment of card details shared with Amazon Pay for quick payments. With Alexa, it can check your pre-orders of a similar kind of products. This reordering is a convenience. Also, sharing the information is beneficiary too for a quick pick of products. Picking from Amazon App or Website is simple and easy with tons of convenience. But when it is with Alexa, it may mishear or misinterpret your pronunciation. To double check your orders on the new or unusual things that you order. Don’t let Alexa place the order until you feel solid about ordering. Rather, add the item to your cart and later confirm. If you are becoming a shopaholic and you do not wish to be one. Take your card option off of Alexa. Stop. Now, all set to fill your cart? Prepare to shop with your Amazon Echo. Don’t hesitant — give it a shot. The convenience cannot be overstated. To have these items dispatched to your home with only a couple of words is so helpful. Alexa is not limited to Amazon; it also includes all other e-commerce platforms. Alexa is possible with Voice command based shopping for all ecommerce that is set up for this process. What about setting up an online ecommerce place from your retail site to make a place for yourself in this new technology wave? Maybe your own ecommerce website needs to be Alexa Echo enabled? Time almost stands still when you are buying your favorite bag at Nordstrom from an online store with voice command. You can practically see the health benefits to both business and shoppers. Vikash Kumar working as a Marketer at Tatvasoft.com, it's a software development & android app development company. He generally likes to share his technical views on different technical aspects.